Dubrovnik is a town in the south of Croatia and one of the most important historical and tourist centers of Croatia. The road from Split to Dubrovnik lasts about 3.5sat. The tour takes approximately 3-4 hours. Full day excursion for 10-12 hours. Note: Due to crossing the border, a passport is required. Dubrovnik is a town in the south of Croatia and one of the most important historical and tourist centers of Croatia. 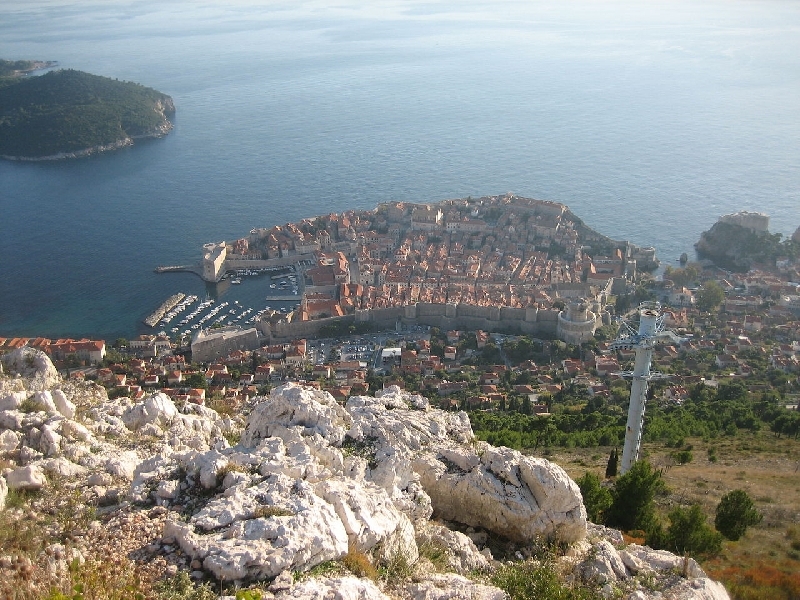 In 1979 the city of Dubrovnik was added to the UNESCO World Heritage list. We start in Split or in the city. We ride with a passenger van 8 + 1. At the nearest entrance we enter the Dalmatia motorway and drive to the end of the car road in Ploče. We continue by the road to the coast passing through Klek to the border from BIH and Neum where we will have shorter stay. We exit from BIH and continue along the coast, passing not far from Ston's known oyster shells. (It is possible to add stopping and tasting of famous Stoned oats that are eaten raw with a few drops of lemon juice). Driving along the coast we pass by the islands of Sipan, Lopud and Koločep, which are to our right. We enter Dubrovnik through the beautiful Dubrovnik Bridge and descend to the center where we will depend on the possibility of crowding and parking. 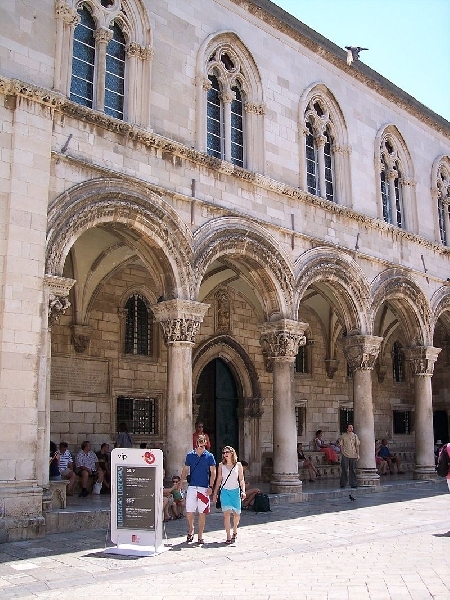 For a tour you have 3-4 hours and you can enjoy the Dubrovnik Walls, the Orlandi Pillar and the old town core or enjoy the coffee and drink at the Stradun at this time (beware of prices that can be several times bigger). After a couple of hours of enjoyment, attend the gathering of the end of the vehicle and prepare for the departure. We return to Split the same way we came along with a shorter stay in the road. is located in the southern Adriatic. The town developed on the eastern coast of the Adriatic Sea, where sequence of Adriatic islands stops and the open sea begins. It lies on the southern slopes and at the foot of Mount Srđ. The wider Dubrovnik area includes a narrow coastline about 250 km long, extending from Klek to the west to Sutorina and cape Prevlaka in the east. It has over 250 sunny days a year. The average annual temperature is 16.6°C and in summer 26°C. Snow and low temperatures are rare. The coldest month of the year is January, and the warmest is August. The sea bathing season lasts from April to October. In the year there are 109 rainy days, and in the summer only 14. The town is protected from north wind by the hill Srđ, and from the southern winds by the island Lokrum. George Bernard Shaw, visited the city in 1929 and said: "If you want to see heaven on earth, come to Dubrovnik." In the bay of Dubrovnik is the 72-hectare (180-acre) wooded island of Lokrum, where according to legend, Richard the Lionheart, King of England, was cast ashore after being shipwrecked in 1192. The island includes a fortress, botanical garden, monastery and naturist beach. Dubrovnik has an international airport of its own. 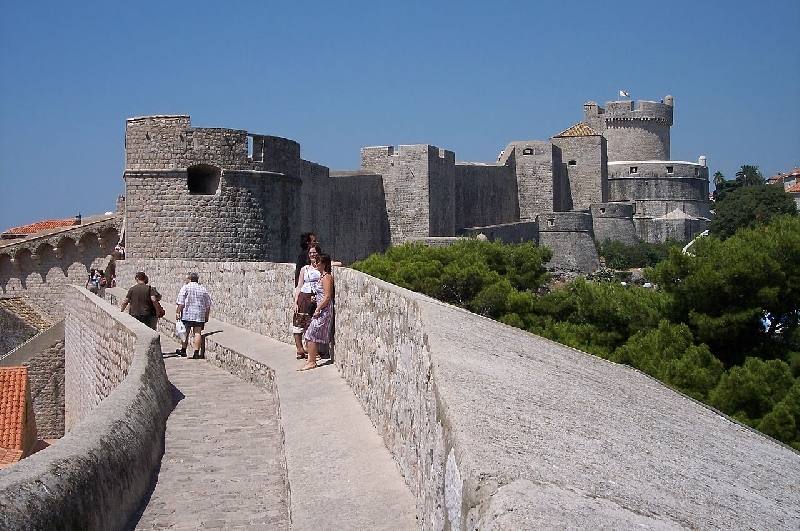 It is located approximately 20 km (12 mi) southeast of Dubrovnik city centre, near Čilipi.